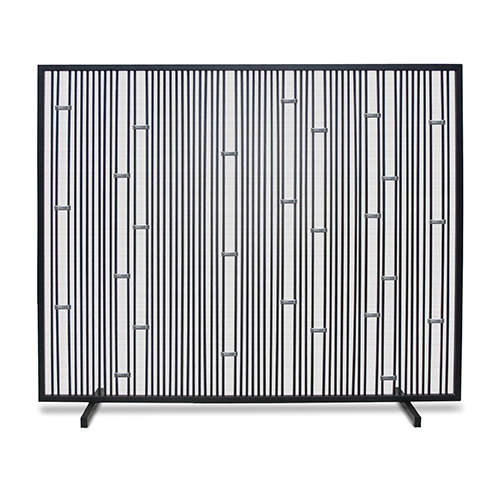 This 39"W x 31"H single panel Arden screen is provided with a lifetime warranty, a signal of its strong, enduring qualities. The gorgeous matte black with stainless steel finish features stainless steel accents. Tolerance should be provided due to hand forging, another signal of quality design. Your opportunity to obtain a beautiful and enduring quality has, once again, returned with this Arden screen option, which is sure to delight the homeowner who appreciates style and quality in one design.